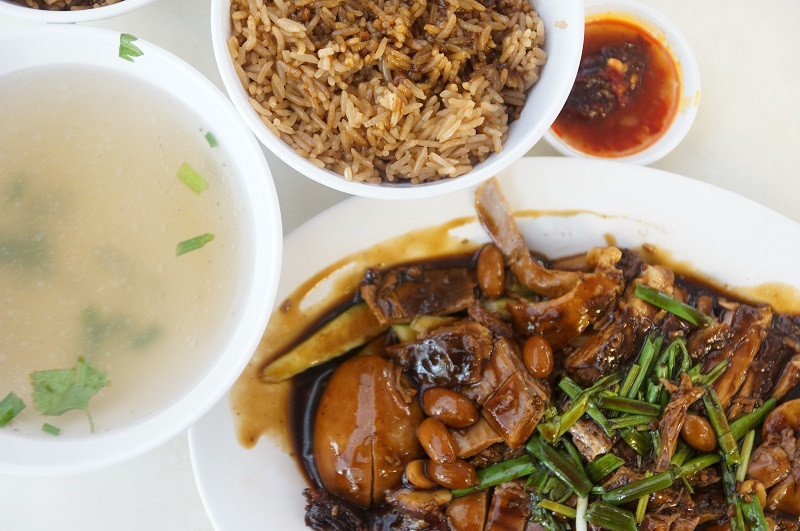 Duck rice is one of the popular staple food in Singapore. There are different variations in how the duck rice is prepared but basically, there are two main categories. 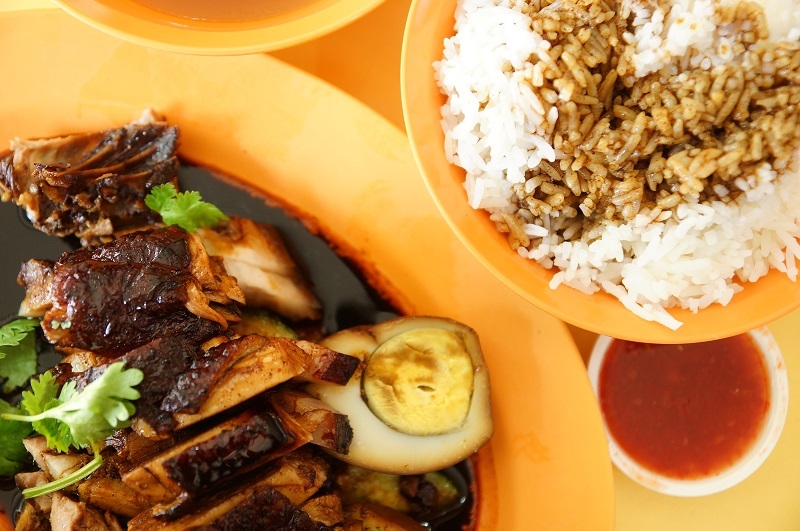 Gooey gravy: this is the most prevalent type and adopted by most of the duck rice stalls in Singapore. The gravy is viscous and gluey, some tasted sweet and some towards the saltier end. It is usually accompanied by the braised rice or the rarer yum rice. Popular one like the Soon Kee Long House (Boneless) Duck Rice and Sean Kee Duck Rice. Non-gooey type: without the starch added to keep the sauce in the watery stage. It is usually saltier than the gooey type, less common and strong association with the authentic traditional Teochew duck rice. The iconic representations are Ah Xiao Teochew Duck Rice and Tai Dong Teochew Duck Rice. 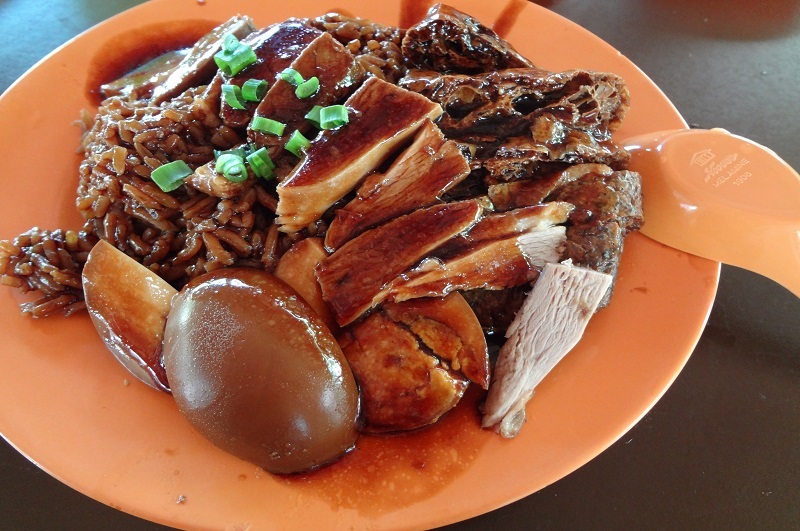 We are familiar with the above two types of duck rice but there is one unique rare duck rice in Singapore vastly different from the two and worth to mention here. The duck is prepared in a very different manner, the duck is chopped into small pieces without de-boned, braised in the pot of sauce with herbs and served with white rice, good? 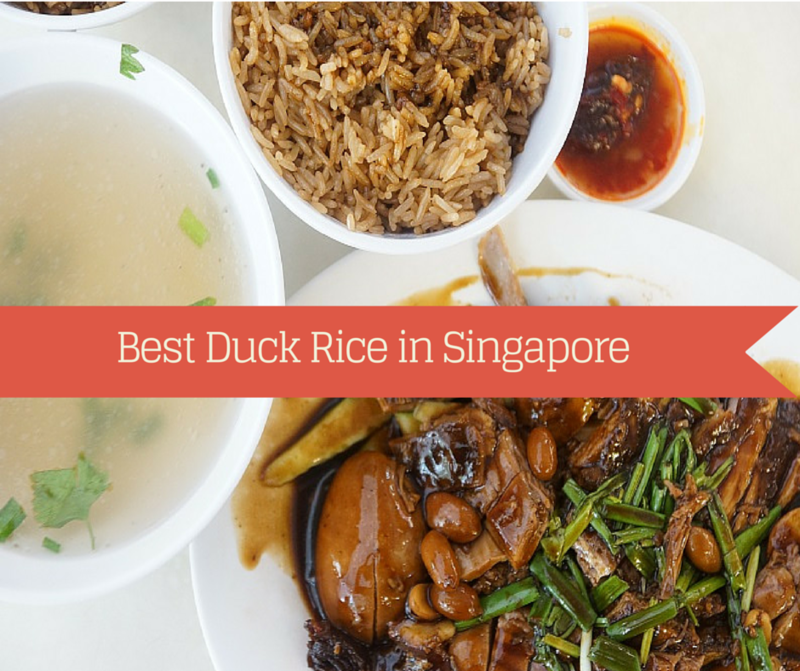 Indeed this is one of our top picks for the best duck rice around. One and the only one selling this version of duck rice is Ng Soon Kee Fish & Duck Porridge. 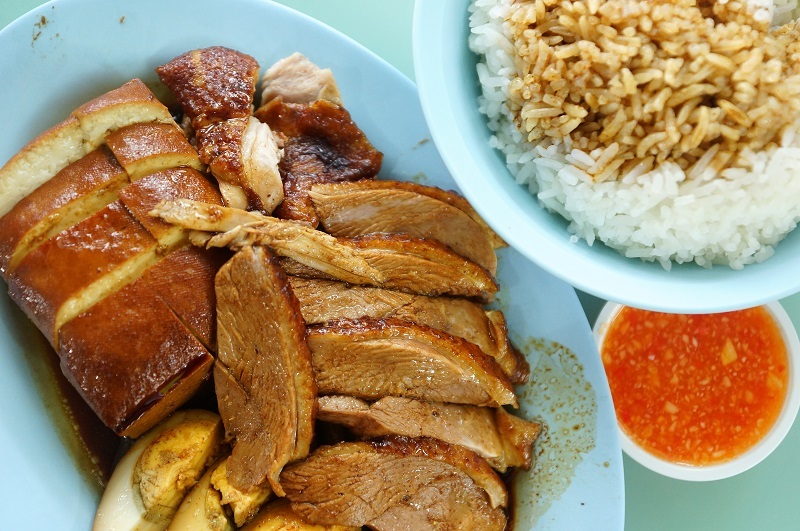 So, Where are the best duck rice in Singapore? We have patronized more than 20 duck rice stalls all around the isle and here is the few hand pick best selection based on our taste buds. Hope you like it as well. The duck was fully de-boned which made it much easier to eat. Dark and thick luscious gravy was doused over the duck making the plate of duck meat very appealing. The duck meat was tender, moist and succulent. The braised meat has obviously absorbed the essence from the herbs and spices; it was a plate of heavenly duck that we had not experienced for a long time. If there is a choice for only one duck rice, we are adamantly put our full endorsement on Soon Kee. This is a surprise to us, the braised duck was damn flavourful absorbed all the essence of the flavouring from the seasoning. The duck was tender and tasted so much like the mum’s cooked meal at home. In fact, the braised duck gravy alone good enough to finish the bowl of rice. It is a hearty and homely braised duck not to be missed. The gravy was muddy thick and can hold without dripping like water, the braised duck meat was tender and savoury but what is outstanding and catching our attention was really the rice. 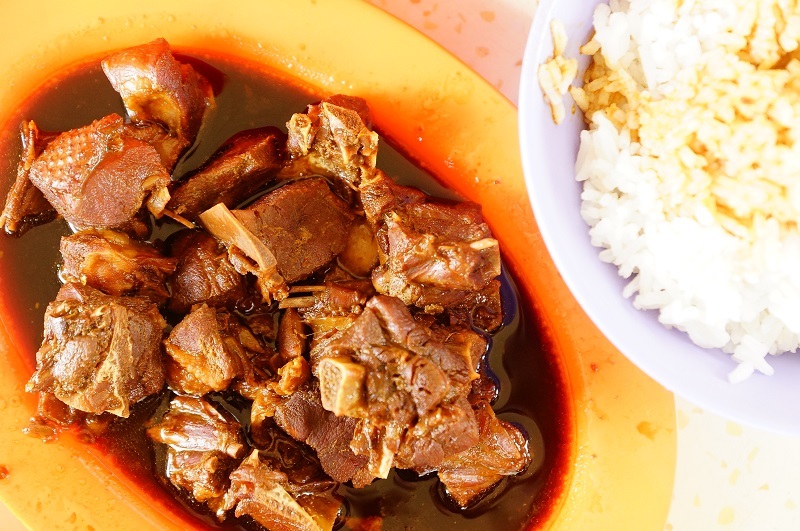 When doused with the gravy, you can simply slurp up a plate of rice without even the supplement of duck, eggs or tau poh. Drawback of the stall includes the chili sauce, not as good as what we expect. The duck meat was tender with a fine and malleable texture, the duck was inundated with the alluring flavor accentuated by the dark gravy. However, the braised pork was not as convincing as the duck; it’s simply lacked the fragrance and tasted bland. The sauce was not the starchy type, the dark gravy was salty but infused with nice flavour, and it has a distinctive fragrance that hit the senses, a thumb up from us. Duck was slightly tender than Tai Dong duck meat operating at the same premises. Taste wise both has its merit. Personally, we preferred Tai Dong for its more intriguing complexity and depth of flavor. The gravy was a balance of sweetness and saltiness, slight gooey but succulent sauce. 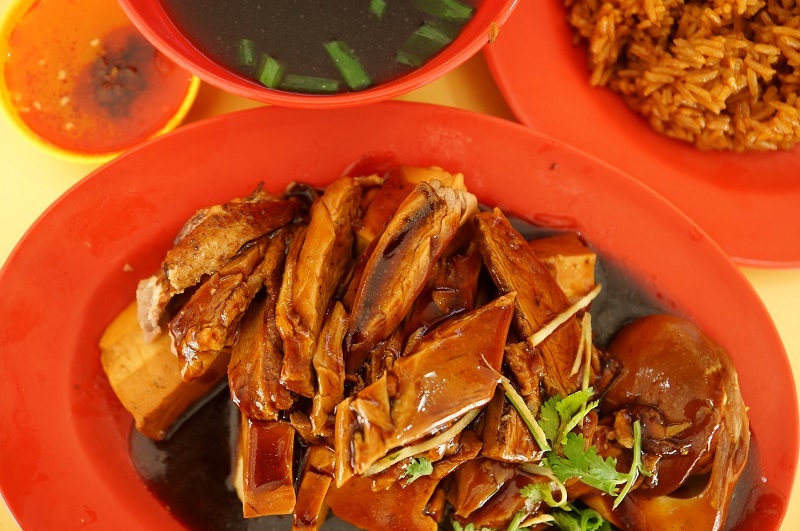 Gravy is one of the darkest and the iconic trademark for Tai Dong braised duck, the sauce is closely resemble to the Ah Xiao Teochew braised duck from Golden mile food centre, both gravy are high viscous and not gooey at all. The duck was bathed in the dark sauce and that transformed the braised duck into deep dark brown colour, a huge different to those with nice golden brown colour. The texture may not be fine but tenderness of the meat is commendable, you can fully appreciate the present of the seasoning fragrance infused into the meat. 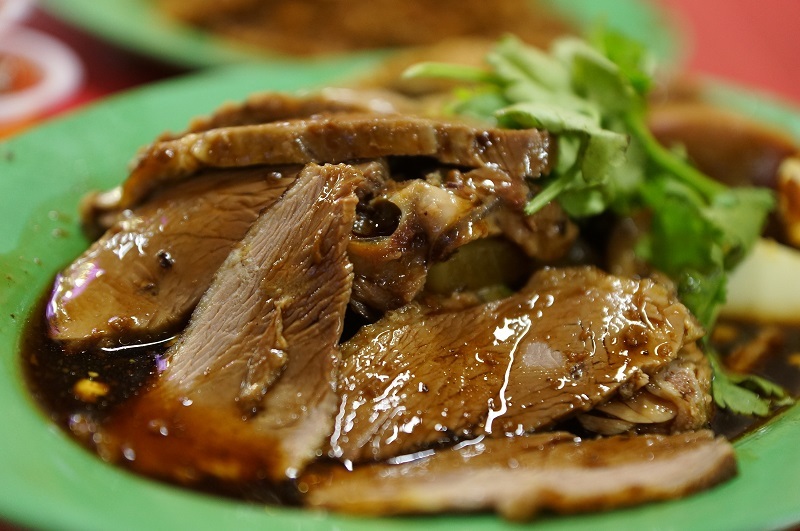 The traditional Teochew braised duck technique is masterfully demonstrated here. The gravy has the perfect viscosity, not too starchy or diluted. The gravy has a palatable tangy, mild herbal taste, inundated with piquant flavour, not overly dosing of sodium or sugary sweet, one of the best we have tried. Duck meat was thinly sliced but not as tender as expected. The Duck gravy was tasted a tab of saltiness with very mild herb flavour, simple and unpretentious. Duck meat was thinly sliced and absorbed the essence of the gravy, analysis of the meat texture clearly shown coarse cross sectional pattern, good braised duck meat should be smooth and densely fine, New Market Teochew Braised Duck looks like not yet fully mastered the braising technique to achieve the perfect texture. 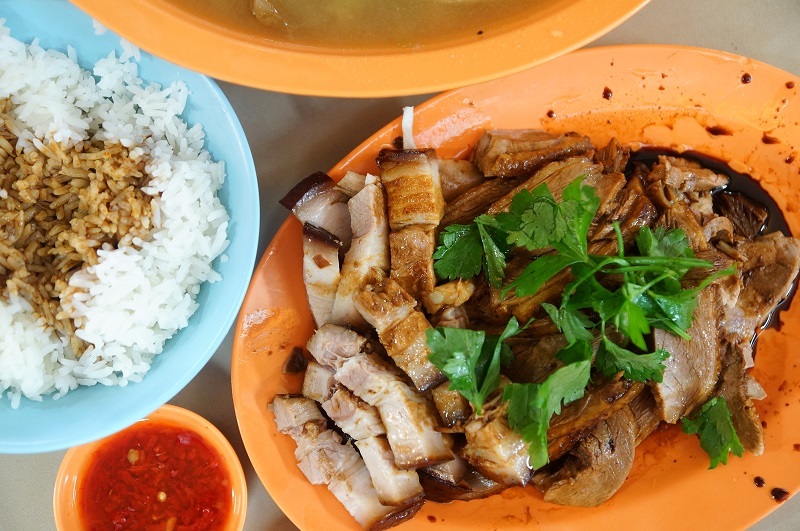 Get ready to try the best duck rice in Singapore? Go for the top choice if you are not sure which one to pick should you have any craving for duck rice.